At this time of year we are reminded to give thanks for those that have made a difference in our lives. There are a few things that we at PHnw are thankful for this Thanksgiving season. We would like to thank everyone for their hard work putting together our second annual conference east of the Cascades. We are excited for our upcoming ninth annual conference this coming March and grateful that we have the resources necessary to continue on in this tradition. Thank you to all our vendors for coming to showcase all their amazing innovations at our events. We are especially grateful to our sponsors whose financial support helps ensure the buildings of the future are energy efficient, with a reduced ecological footprint! We are very thankful for our members - without you PHnw wouldn't be able to have the impact that it holds today. You are the hands and feet of this organization and we are grateful for your support which makes it possible for us to continue to champion the passive house standard. Passive House Northwest is seeking presentations on high-performance building topics. Presentations may be a 40-minute session or a 4-hour pre-conference workshop. The submittal deadline is December 1, 2017. Presenters will receive discounted registration for the conference. 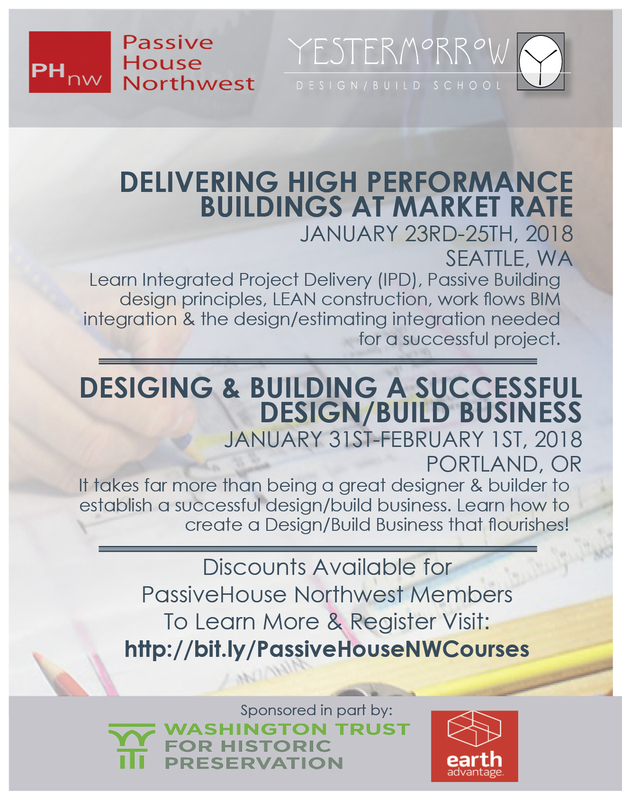 Passive House Northwest is excited to announce that registration is open for two courses being taught by Passive House consultant and educator Adam Cohen in January, 2018. This three-day course geared toward those interested in increasing efficiency in commercial construction. The class covers Integrated Project Delivery (IPD), passive building design principles, LEAN construction, work flows BIM integration and the design/estimating integration needed for a successful project. It takes far more than being a great designer and builder to establish a successful design/build business, and this two-day course presents time-tested ideas about setting up systems for those who want to create a design/build business that flourishes! PHIUS-trained Certified Passive House Consultants (CPHC®) are leading the adoption of passive building from coast to coast by designing and building quality-assured projects across all of North America's varied climate zones. 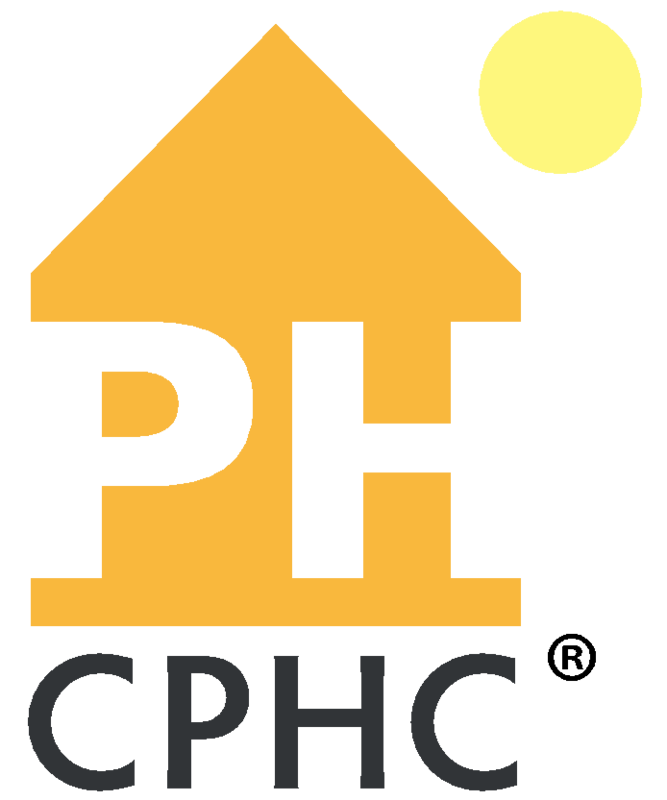 Join a robust community of passive building practitioners and register for CPHC training today! PHIUS 2018 - Coming Soon! During NAPHC2017 in Seattle, PHIUS Senior Scientist Graham Wright provided a glance at PHIUS+ 2018 during a lunch input session. Wright highlighted updates to the standard and also touched on what will stay the same. The updated standard is currently under development by the PHIUS Technical Committee. The new program is scheduled to begin taking pilot projects in January 2018, and will be fully released mid-March 2018. There will be a 6-month transition period, from March through September 2018, where projects will be accepted for certification under PHIUS+ 2015 or PHIUS+ 2018. After September 15, 2018, no new projects can register under PHIUS+ 2015.